The folks at Sonic Reality Progressive Rock Project who brought us, XYZ - A Tribute to Rush featuring Neil Peart Drums EP, are at it again. 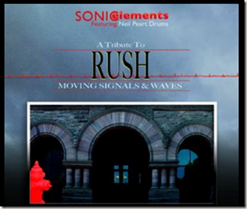 There's a new album due by the end of summer, featuring new Rush songs, called Moving Signals and Waves. You can listen to some early mixes of "The Spirit of Radio" and "Subdivisions" below.